Kenzo has produced its first eyewear collection in collaboration with Thélios for spring/summer 2019. The collection is made up of both sunglass and ophthalmic frames in vibrant colours inspired by Paris and Californian fashion styles. The sunglass frame KZ4001 is a large shield, looking similar to winter sports goggles. It is constructed of different layers of acetate, matte metal and solid lenses and comes in three colourways of grey, pink and blue, with blue lenses. 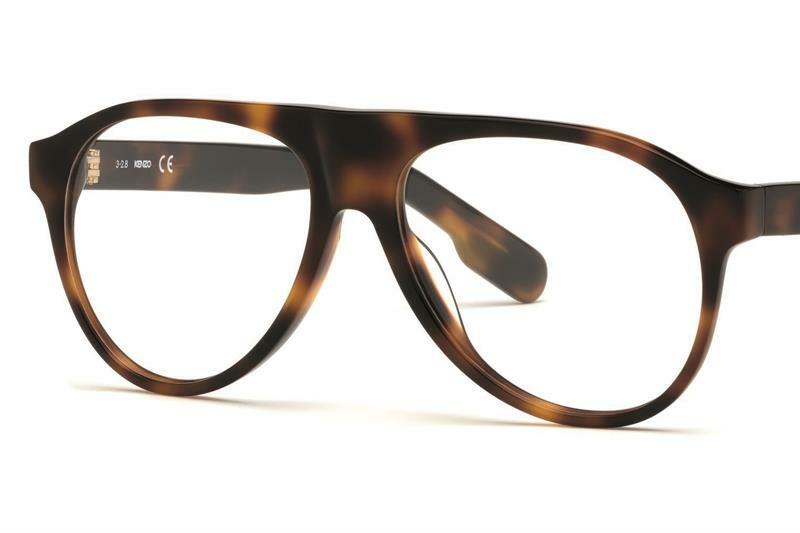 Kenzo’s signature logo finishes off the statement frame. The collection includes two ophthalmic frames. KZ50012 is a teardrop shaped acetate frame in two colourways of pink and dark Havana and KZ50014 is a narrow cat-eye style available in black or pink, made with a distinctive acetate to metal fusion.